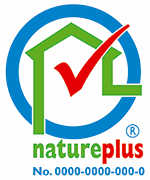 The natureplus database lists all the products certified by natureplus. It contains information on the most important product specification data and test/assessment results for product evaluation. This information is free of charge and can be accessed without registering. It can be used by planners, tradesmen and consumers to compare sustainable building products which do not pose risks to health. The data sets are updated on an annual basis by natureplus and the manufacturer, within the framework of the natureplus follow-up assessment procedure. The data are always checked using a system of dual control. In collaboration with the manufacturers, the database is continually being improved and, in the future, will offer a wider range of interfaces and a connection to other databases. All data are available as PDF-files. Our team looks forward to your feedback!